SuperCab Longbox! Trailer Tow Package! XLT Convenience Package! 3.73 Rear Axle Ratio! Our 2016 Ford F350 SuperCab XLT 4x4 is decked out in Ruby Red and Magnetic! The 6.2 Liter V8 churns out 385hp while paired with a 6 Speed Automatic. Our F350 is a powerful performer with great payload and towing capacity that shows its muscles while providing you with the stability when pulling that fifth-wheel or super heavy load. It s easy to see why the F-Series line has been top selling brand for decades! We know you will appreciate its smooth ride and solid performance! Durable and comfortable, the interior features modern, easy to use controls, comfortable cloth seats, a tilt and telescoping steering wheel and plenty of storage options. Enjoy the awesome Audio with CD/MP3 jack along with SYNC to keep you hands-free so you can focus on the job at hand. Of course, the fold-up rear bench seat is a great option for extra cargo space and seating. Safety is always number one with Ford and the F350 is at the top. Six standard airbags, SOS post-crash alert and Roll Stability Control keep you safe and secure. This Ford F350 is an impressive, powerful choice. 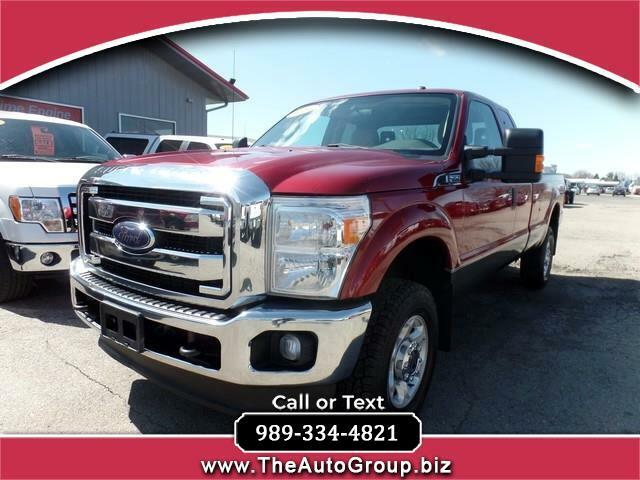 You will love getting behind the wheel of this fantastic Built Ford Tough Truck! Print this page and call us Now... We Know You Will Enjoy Your Test Drive Towards Ownership. Message: Thought you might be interested in this 2016 Ford F-350 SD.